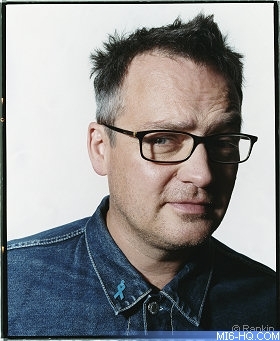 The official Young Bond website confirmed yesterday that the fourth novel in the series by author Charlie Higson would be released in the UK in September 2007. This may come as a surprise to Young James Bond fans as the book was originally expected in January 2008. Young Bond Book 4 will be published in the UK in September 2007 as a hardback by Puffin Books, which marks another departure as the previous three installments (SilverFin, Blood Fever, Double Or Die) were first released in the UK as paperbacks. Charlie Higson confirmed to MI6 that he had completed work on Book 4 by the end of 2006. Earlier in the year during the release of the third novel Double Or Die, author Charlie Higson revealed some details on Book 4 exclusively to MI6. When asked whether he would continue the pattern of following Fleming's templates by echoing some elements of the fourth 007 novel "Diamonds Are Forever", Higson said "there are some similarities, it is set in the Americas, there are gangsters in it but there is no cowboy train!" Higson continued, "after book three being set in London I wanted very much to send Bond somewhere exotic and hot. It is largely set in Mexico and the Caribbean and the plot does involve gangsters."